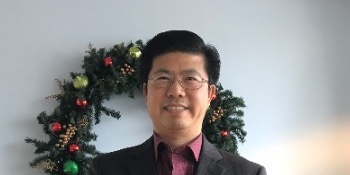 Richard Wang, FIPS Laboratory Manager at Gossamer Security Solutions. Before joining the Gossamer, he worked at Leidos lab as the lab technical director. Richard has been performing FIPS 140-2 and FIPS 201 product testing and evaluations for 10 years. He has tested various network Routers, Switches, Software Modules and Wireless Controllers and Access Points. He continues to perform validation testing of FIPS 140-2 and 201 products while acting as a lead and oversight technical tester on active CSTL testing projects. Richard has performed testing on algorithm implementations to obtain required algorithm certificates from the Cryptographic Algorithm Validation Program (CAVP) for modules that are undergoing FIPS 140-2 testing. Richard earned his Bachelor’s degree in Mechanical Engineering from Tianjin University in China and a Master’s degree in Electrical Engineering from University of Nevada, Reno (UNR).